HSBC Bank "The World's Local Bank"
TTY/TTD: 1.800.898.5999 HSBC Bank USA, N.A. All deposit accounts offered by HSBC Bank, FSB are insured by the Federal Deposit Insurance Corporation (FDIC) up to the maximum applicable limit, which is currently $250,000 until December 31, 2013. The amount of insurance coverage you receive is based on your aggregate deposit balance for each account ownership type. For additional information, call HSBC Bank at 1-800-975-4722 or visit the FDIC’s website at www.fdic.gov. What is the bank routing number for HSBC Bank, FSB? 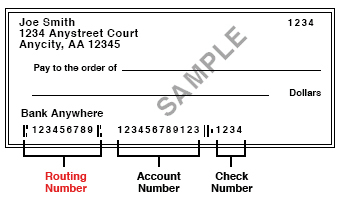 The routing number for HSBC Bank varies by state.